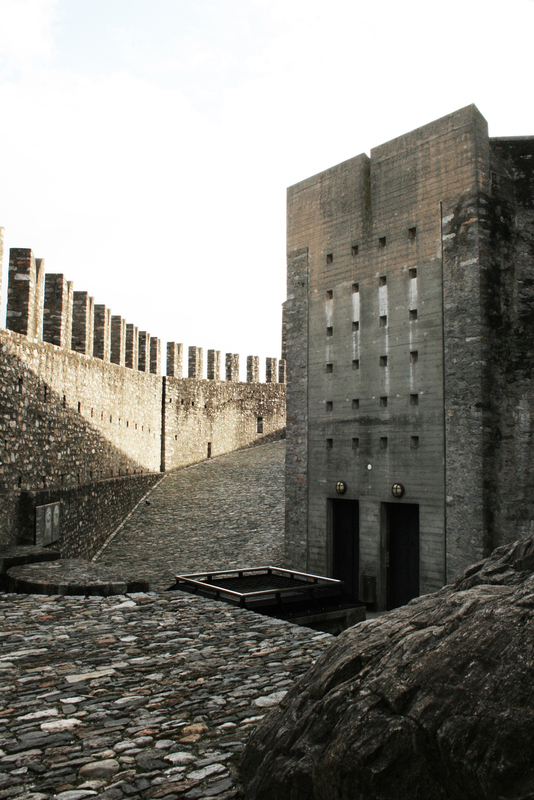 If you’re ever in Switzerland, more precicely in the Canton of Ticino I would recommend that you stop by in Bellinzona. 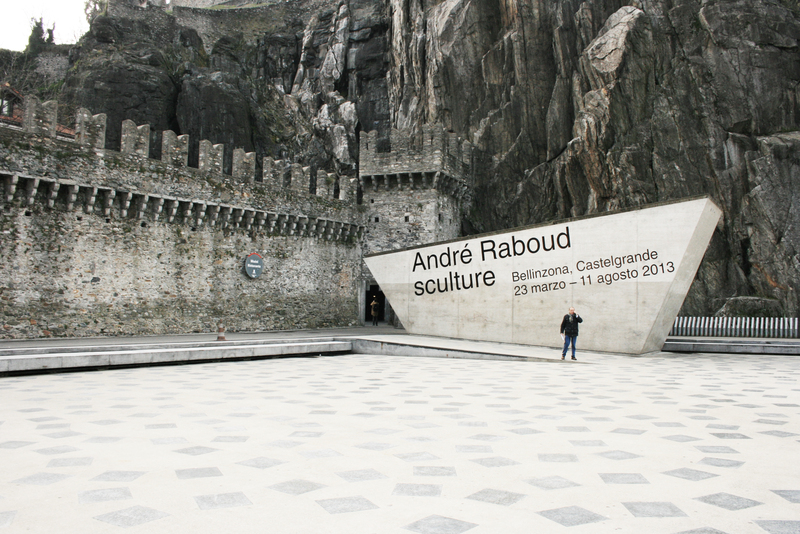 I visited the town last Easter for a short time but long enough to pass by Castelgrande. 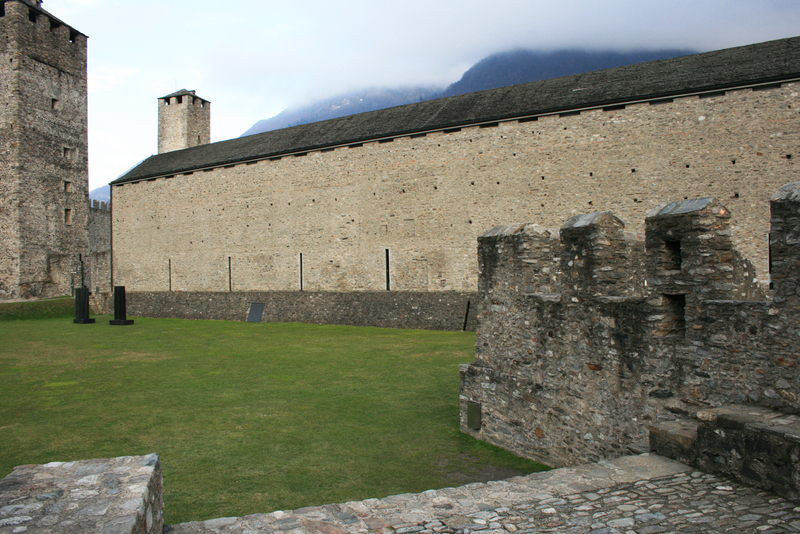 The castle was restored in 1983-89 by Aurelio Galfetti, a local of the Ticino. The experience begins at Livio Vacchini’s (another local) Piazza del Sole (1991-1998) in the centre of town. 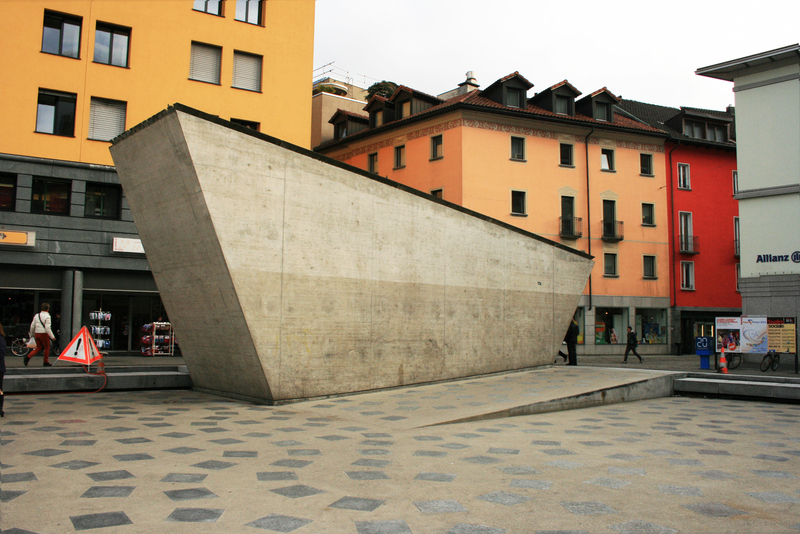 The piazza, which is very simple, creates a sort of breathing space between the town with its multicoloured stucco and the castle and accentuates the dramatic rocks and textured medieval walls with its sleek concrete surfaces and regular shapes. 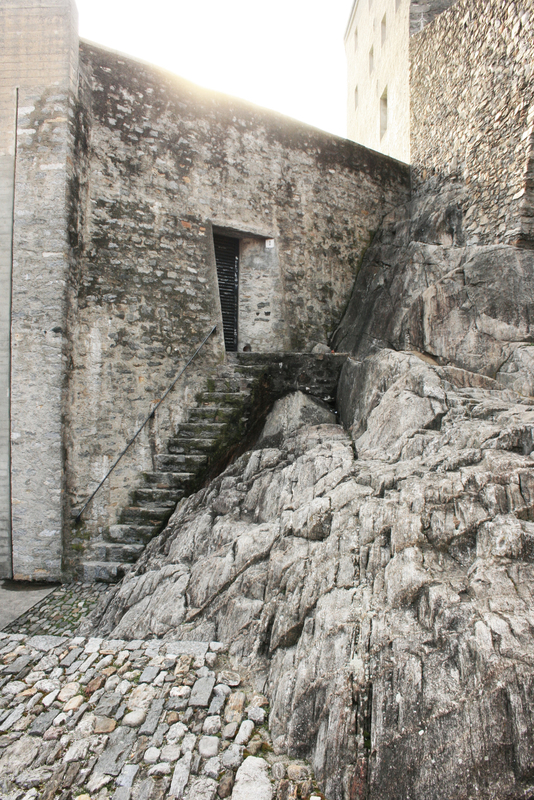 To get to the actual castle you enter through one of the original walls and pass through to the new entrance by Galfetti, which leads you to the elevator and up to the castle. 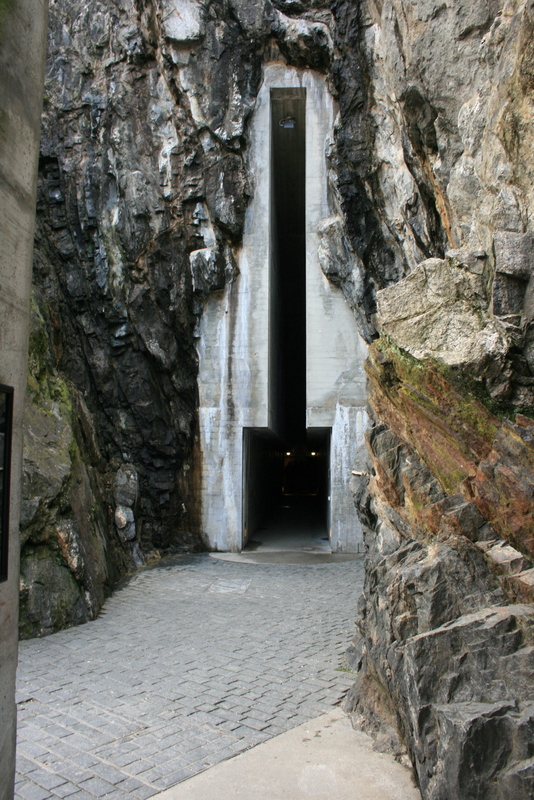 A concrete slit in the rocks, impossibly precise (we are in Switzerland) and integrated into the dynamic existing formations of stone, takes you through to the dark “womb”/antichambre for the elevators. 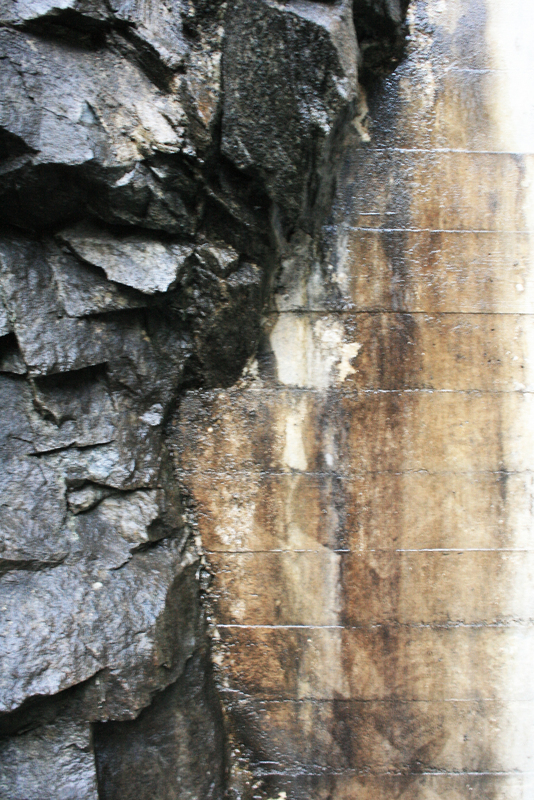 This quite peculiar, and perhaps not the most socially secure space is a concrete wonder of symmetry and slight smell of wee (see images below). 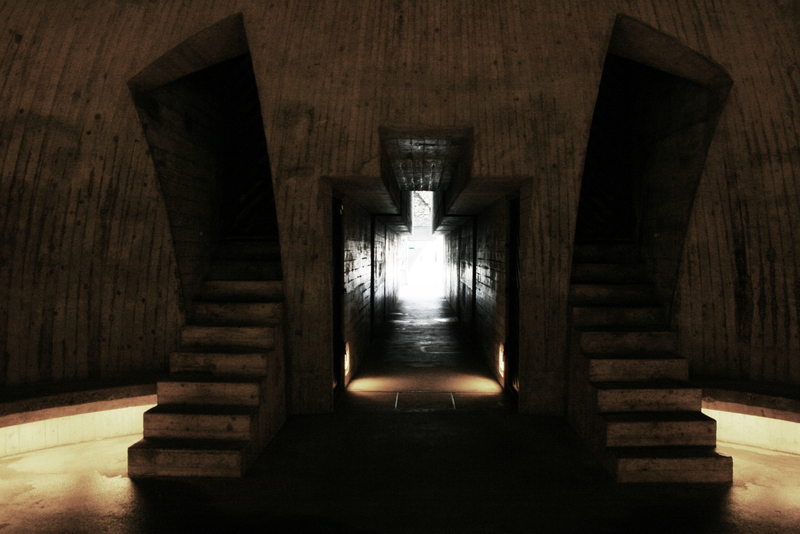 The elevator leads you to another place, just as wondrous as the previous, but of a completely different nature. 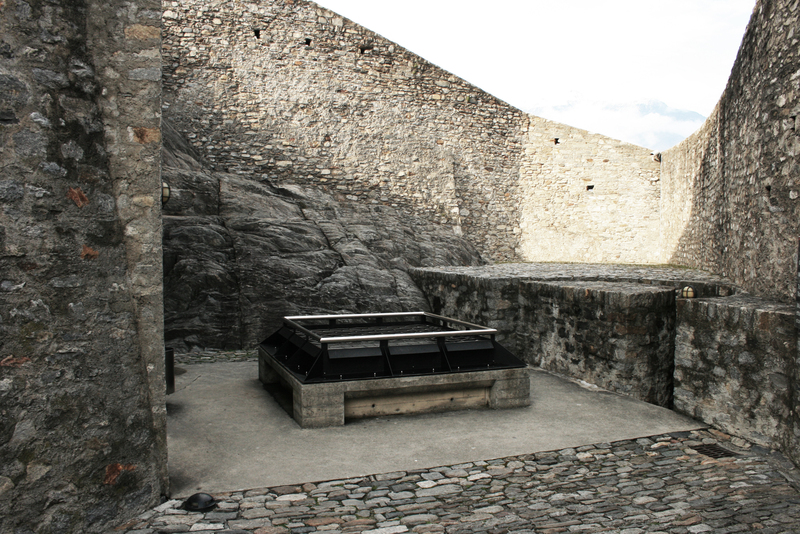 You arrive at the walls of the upper level overlooking the town. Here you are elevated and in a space of light and Galfetti has carefully placed a few necessary objects/structures that seem to blend in perfectly with the existing organic stone carpet. Following the walls you get to the castle on a the plateau. 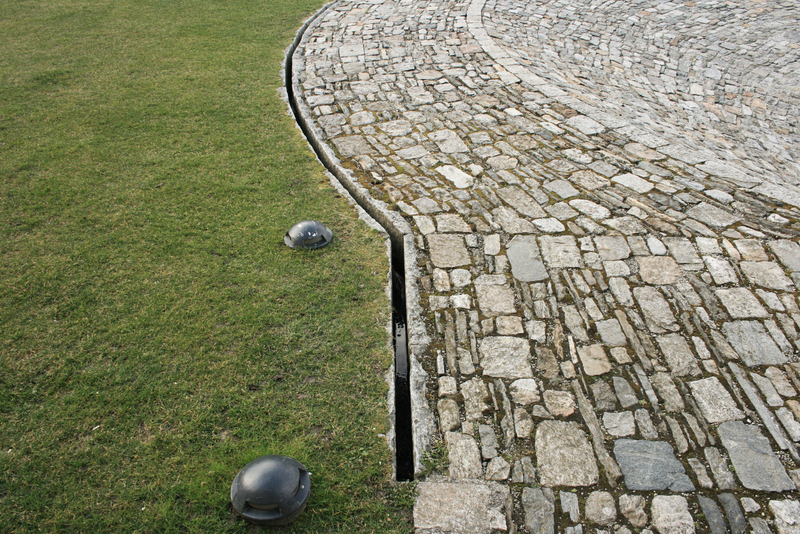 There one can admire a series of skillful interventions in and around the original structure. Things apparently placed where they need to be for the convenient modern use of the area seemingly without creating a hierarchy in the original and the new. It seems to me that only in a territory that you know very well could you make such a seamless link between the now and the then. Galfetti manages to be fresh and new and yet completely in harmony with the past. He makes some quite radical changes in the landscape and in the historical buildings but yet is at peace with both and accentuates the beauty found in the place with his intervention.